Hello all! Welcome back for another Tastey Tuesday! If y'all are keeping track, the Hubs and I are finally on phase two of the South Beach Diet, and thank goodness because I was missing red wine soooo much! 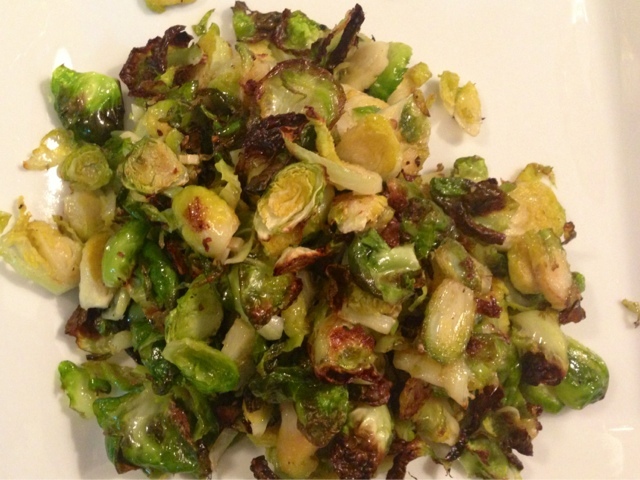 Today I have for you a side dish recipe that is perfect for any phase of Sourh Beach, or for any dinner, roasted Brussels sprouts! My Hubby is not a huge fan of veggies but he ate these with no complaints, so they must have been good ( he is a pretty harsh critic). It is a recipe I found from Jeanette's Healthy Living, so go visit her blog too if you like it. Enjoy! Preheat your oven to 425 degrees. 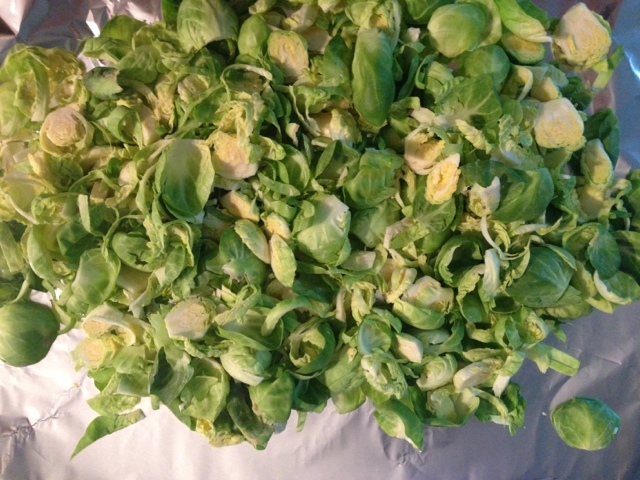 Wash your sprouts, cut off the stems, and remove as many of the outer leaves as you can. Chop each sprout in quarters making sure to break apart the layers to maximize crispness. Chop your garlic and toss your garlic and sprouts in the oil, salt, and pepper. Place them spread out on a foil lined baking sheet. Cook for 20 minutes, checking on them every 5 minutes to stir and remove leaves as they crisp up. Serve and enjoy! I found you from the blog hop. I'm your newest follower!